Angela Leidig’s involvement with the Suzuki method goes back 30+ years. She started playing violin when she was five years old in a Suzuki public school program in Pennsylvania. She began teaching in 1991 while finishing high school and continued teaching in college in a Suzuki program in Harrisonburg, VA. After college, Angela had her own Suzuki studio in Ann Arbor, MI, as well as joined the faculty of the Ann Arbor Performing Arts Center, the Chelsea Center for the Performing Arts and Boulder Suzuki Strings in Colorado. Most recently, Angela was on the Suzuki faculty at the Longy School of Music in Cambridge, MA from 2008-2013 and joined the Suzuki faculty at New England Conservatory in September 2013. 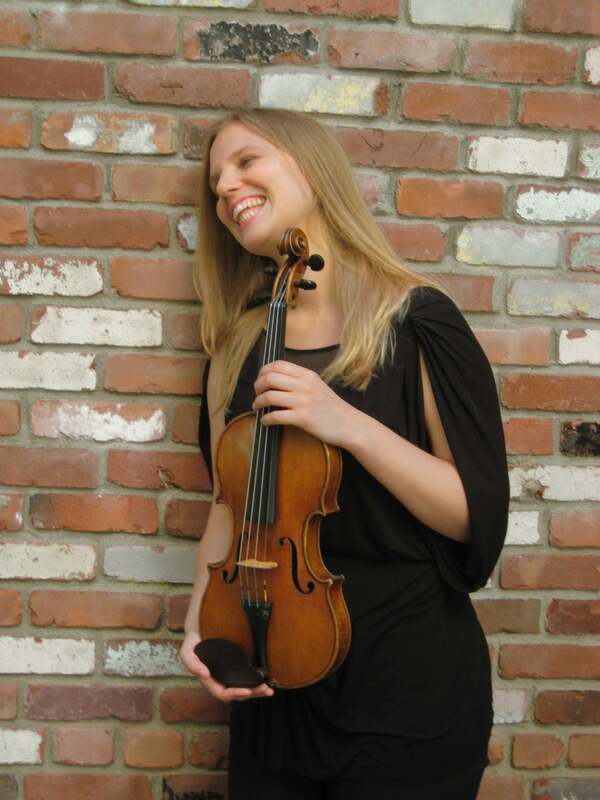 Angela currently teaches Suzuki violin lessons and group classes at NEC and maintains her own studio in Somerville where she teaches private violin lessons and Alexander Technique lessons. Angela teaches at the New England Conservatory Summer SuzukiFest and taught at the Ogontz Suzuki Institute in 2016. She studied Suzuki pedagogy under Kimberly Meier-Sims, Alice Joy Lewis, Ed Kreitman, Ed Sprunger, Linda Fiore and Ronda Cole and is registered through SAA for Suzuki Books 1-10, Every Child Can and Teaching Creativity courses. She received her B.A. in Music from Roanoke College in Salem, Virginia, her M.M. from Boston University, and did doctoral work in violin performance at the University of Colorado in Boulder. Angela gives Suzuki private violin and Alexander Technique lessons at the Center for Arts at the Armory in Somerville, MA and Suzuki private violin lessons and group classes for Books 1-4 at New England Conservatory in downtown Boston. Angela is dedicated to teaching young children how to play with an attitude of creativity and knowledge about how to play well, with ease, balance and freedom from the beginning stages. She works closely with parent and child to develop healthy habits with the instrument and practice at home from the very beginning. Please contact Angela through the contact page to inquire about violin or Alexander Technique lessons.